← Let’s Stick With Right Now, Shall We? Things started out pretty good and seemed to be moving up and along well. Then – I started feeling lethargic, weak, and could barely move from one place to another. Then the rash appeared. Yep, another allergic reaction to the next in line seizure drug of choice, Keppra. Another Sunday visit to urgent care. Another waiting game for the rash to disappear. Another in-between of where to go from here. Where is exactly is it that I should go? For one, the doctor on Friday, more prednisone, more waiting. More adjusting, more patience, more, more, more. You know, I pride myself in always seeing the bright side of things, staying present, letting my optimistic light shine and shine and shine. Well, you know what; I just, once again, want to be pissed. I will not resist this moment, I must have this conversation. I have to have it because if I don’t the noise of ignoring it will cripple me and turn out my light. I won’t have that. No way. I’m afraid of the dark. I don’t understand what the point to all this is, I don’t like it, and believe it or not, I kind of hate everything right now. Can you believe that? I keep feeling my body going up, then coming down, and then floundering in the land of waiting for the space where I can start to move along on the next course ready willing and able, and stabilized. I want to be on that course right now. But instead, here I am “Sittin’ on the Dock of the Bay”, back to charting a new course. At least I get to draw the map. Since the time between stopping the first med, Tegretol and now, I’ve experienced around six seizure events. One was in a public place during a meeting where, thankfully, I was with several of my favorite colleagues who comforted me in amazing ways. A few occurred while with friends, a couple while alone. But the one that impacted me the most was the one that happened while with my Granddaughter, Elena. She came to visit me while her Mom traveled to Illinois take her brother Noah to visit with his father and family. When Lanie arrived we settled in, played, chatted, giggled, hung out, and seizing the right moment that appeared, I shared with her that Grandma is experiencing a thing called seizures. I told her what seizures were, how they can happen and why, and what I would look like if I had one. Prior to this conversation I struggled with how to explain it to her in terms she would understand, after all she’s six. 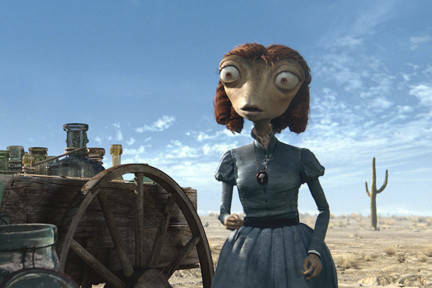 Suddenly a scene from the movie Rango, with the character “Beans” popped into my head. Lanie and I have watched this movie countless times… It’s really quite funny. In the scene Beans suddenly stops talking and freezes in a wide eyed stare, as if someone pushed a pause button on her. I told Lanie that’s kind of how Grandma would look if I were to have a seizure. I let Lanie know that even though it might look like something bad is happening to Grandma that actually, it’s something that will go away within a a minute or two. I wanted her to know that I would be okay but if she felt afraid she could call Mommy or Daddy but she did not need to call 911 (she would because she’s that smart). I also let her know that she could talk to me because I would hear her, just not be able to respond. We shared more conversation about it, Lanie asked questions, and I answered the best I could. Lanie was in the living room singing and I was in the kitchen working on putting together lunch when I felt an uneasy feeling rise up that I get prior to having my pause button pushed. I sat down and entered into my own “Beans” scene. Lanie was beside me and I could her say “Gramma…. Gramma….” When I re-engaged I asked her if she was scared and she said “no but, Gramma, that was weird”… and then life in the day of child went on without a single remnant of past thought. 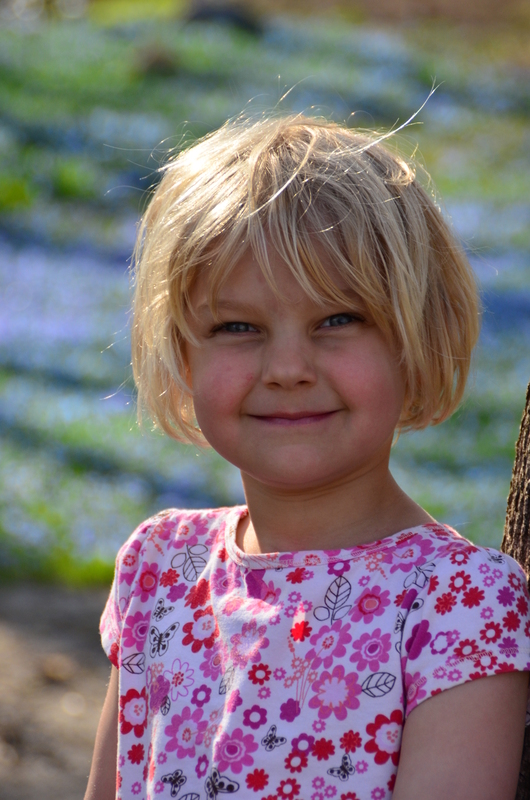 What an amazing child she is… I have a feeling there’s a lesson for me in this… taught by my beautiful six year old Granddaughter Elena. This entry was posted in Add another disability ingredient, Beginnings, Complex partial seizure, Disability Noise, Inspiration, Lessons, Motivation, Non Fiction, Self Help and tagged brainport, charting a new course, cheryl schiltz, Complex partial seizure, Epileptic seizure, gentamicin, light shine, madison, Noise, norman doidge, optimistic light, ototoxiciity, paul bach-y-rita, perception, Rango, silencing the noise of disability, University of Wisconsin, waiting game, wisconsin. Bookmark the permalink. Words cannot express how sorry I am that you are going through these new challenges. The road of disability is never easy and there are many detours but eventually if you have the will to keep searching and keep trying you will find your way. Many hugs! Elena is a cutie. I see a little you in her face. Thank you Deb. The road’s a little rough right now but even so I have to enjoy the ride. I look at it as if I’m back-roading on a muddy road in a big jeep! Eventually I will reach a bend in the road that leads to everything coming together beautifully. Yes, Elena is our cutie, she makes my heart smile!